Between the timber industry and a reputation for organized crime and racketeering, early Portland, OR is a town that, like a number of other Pacific Northwest settlements, started off a little rough. 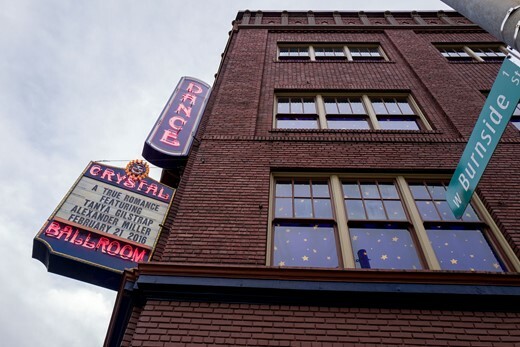 But today, Portland has grown into and is known for being one of the most progressive cities in the country. This rise from rags to prominence is at least vaguely reminiscent of the rise of mirrorless technology in cameras, though the latter has happened much more rapidly. What were once laggy, poor-focusing and incredibly power-hungry devices have evolved into technological powerhouses, playing host to some of the latest and greatest innovations in camera technology. The Leica Q is, unarguably, one such mirrorless camera. Portland has also been nicknamed 'Bridgetown,' for its many crisscrossing bridges slicing through the urban landscape. Rather appropriately, then, the Leica Q is a bridge of sorts for me. It is the first mirrorless camera I’ve brought with me to shoot a wedding alongside my usual full-frame DSLRs, and the first mirrorless camera I’ve used that performs very nearly at a level I expect from my well-worn and bulky workhorses. Keep in mind: the Leica Q was used in conjunction with two additional cameras for this wedding, but all images in this post are from the Q. The 28mm focal length it offers can be versatile, but definitely has a 'look' and it can't replace a good normal or telephoto lens for some variety in the full final take. I will normally shoot an entire wedding on two full-frame DSLRs, and trade between 35mm, 50mm and 85mm lenses (with an 80-200mm F2.8 coming out for the ceremony only). Adding the Leica Q to the mix added a little extra bulk, sure, as I was now carrying three cameras instead of two. But it meant almost no lens swapping, as I could have the 35mm focal length covered more or less by the Q’s excellent 28mm F1.7 Summilux lens, and keep the 50mm and 85mm glued to the other cameras. The result was that I probably looked a little ridiculous to most of the guests, but having three F1.7-and-wider lenses at my disposal allowed me to make the most of any situation I found myself in. I set up the Q to shoot in aperture priority with auto ISO, and a minimum shutter speed varying from 1/60 to 1/250 depending on the situation. I kept it in Single-AF and recorded RAW+JPEG for the whole shebang. The Q’s autofocus system is not only accurate, but it is close to phase-detect fast (even though it’s a contrast-detect system). I kept it in Single-AF for the day because it just worked so well. The four-way controller on the rear made it a breeze to quickly change the focus point position, and with the 28mm focal length, focus-and-recompose shooting didn't make too much of a difference in critical sharpness. The few times I wanted to use Face Detection (such as handing the camera off to somebody else to take a shot), I found it was a bit of a pain to dive into the menus to change it. This could be mitigated if you could assign something autofocus-related to either of the customizable function buttons on the rear, but you can’t. At least the menus are fairly well-sorted. Speaking of buttons, the buttons, controls and dials are all easy to feel with your eye to the finder, and with enough positive action that there’s never any question of whether or not you hit something. So that’s a good start. However, for a camera focused so heavily on stills, it would be nice to at least have the option to reassign the 'Movie Record' button to something else. Also, when you are shooting in Auto-ISO, you can twiddle the shutter speed dial to override the minimum shutter speed you’ve selected, but then the rear control dial switches from controlling exposure compensation to controlling the shutter speed in 1/3 stops. You can mitigate this by assigning the 'FN' button on the back to 'exposure compensation,' but it would be nice if the control dial operation was more consistent or customizable. Also, the LCD and EVF will give you an accurate preview if you skew to under-exposure, but in low light, dialing in some intentional over-exposure would not adjust the preview at all, which was more a minor irritation than an impactful problem. If you prefer not to use buttons, you can use the touchscreen for a good number of functions, including swiping and zooming in playback, and touch-to-focus and shoot options. However, touch-to-focus only focuses once, where you touched. Half-pressing the shutter does not refocus, and you can’t now use the four-way controller to move the point around if you then want to shoot from the EVF. You’ll have to go back into the menus and enable another focus mode. And if you just don’t want to mess with the touchscreen (I had more than a few accidental swipes trying to enter playback mode to show images to people), there is no menu option to completely disable it. Now, it may sound like I’m being hard on the camera, but in the real world, these were fairly small problems (and all could conceivably be fixed with a firmware update - hint hint, Leica). In fact, there was only one real issue that seriously plagued my experience with the Q. Although the Q’s battery life is great for a mirrorless camera, it’s not so good that I felt like I could just leave the camera on constantly. But that wasn’t the real problem because the start-up time is so fast. No, the problem was that, after shooting a burst and moving on, I would instinctively twiddle the power dial to 'Off.' The camera screen and live view stays on until the buffer is cleared, and only then will the camera fully shut off. However, if I wanted to resume taking photos, I would turn the switch back on, but the camera would be locked and ignore any and all inputs until it had finished the previous burst to the card. Then it would turn off, then turn itself back on. This process, despite using the fastest SD card money can buy, would take as long as 20-30 seconds. None of this happens if you leave the camera on after you take a burst - you can resume taking photos or explore the menu system as the camera does its writing (but you can't immediately enter playback mode when the buffer fills, as you can on many DSLRs). In the end, it’s a strange behavior that can be avoided, but was still upsetting since I’d developed this 'switch off between shots' habit based on the battery life of other mirrorless cameras. Despite all the little issues I discovered above, the Leica Q is a fantastic camera. The only reason I experienced all those little issues to begin with is that I gave this camera no leeway. I used it just like an established full-frame DSLR system, and expected it to perform like one. For the most part, it did. Hell, if Leica made another Q with a fixed 50mm or 85mm lens, I’d have a hard time not selling off most of my DSLR gear and switching over. If only my DSLRs were worth their weight in gold. Or maybe little red dots. There are numerous reports to the contrary, but I found the camera quite comfortable to hold (even without the optional grip). My hands didn’t get sweaty, and the camera didn’t get too slippery. The lens is stunningly sharp, and the out-of-focus renderings are gorgeous. The sensor may not be up to Sony standards of dynamic range, but noise performance is great if you don't mind a little grain (I don't) and you nail your exposure. I managed almost 900 shots on the equivalent of just over one battery (I did one battery swap after a bar disappeared, out of old habits). The camera is built incredibly well, and is dense but light enough that I didn’t have a neck cramp after hours of shooting. It may not be weather-sealed, but it feels like it can take a beating. I should also call your attention to the fact that every single image in this write-up is processed from Raw. Of course, I always shoot Raw for paying gigs, but out of curiosity, I shot Raw + JPEG (and there's no option to shoot Raw only anyway) on the Q. I found the JPEG engine, particularly the colors and skin tones that resulted from it, to be pretty unpleasant (especially next to an adjusted Raw file). So if you're a JPEG shooter, be prepared to start a new Raw habit. Also, using the 'embedded' DNG profile versus the Adobe Standard profile in Adobe Camera Raw does something weird to your white balance settings - I had to boost mine about 1500-kelvin over normal when using the embedded profile. For the out-of-camera JPEG image above, the Q was set to sRGB color space, with contrast, saturation and sharpness all set to standard. That's the extent of JPEG adjustment parameters in-camera. For the processed image, I used Adobe Camera Raw with the Adobe Standard color profile, making fairly controlled adjustments to the white balance, highlights, shadows, whites, blacks, clarity and vibrance. The exposure was F1.7, 1/250, ISO 320. Photo taken by Lindsey Otta while I was taking a breather. As far as performance, with the exception of the strange buffer / power switch issue I highlighted above, I never found myself waiting for the camera. Whether I’m shooting weddings, events, street or environmental portraits, that responsiveness in and of itself is an absolutely paramount requirement. And if you consider the cost of a pro-level (not enthusiast) full-frame DSLR and accompanying fast-wide lens of a similar caliber to this 28mm F1.7 Summilux, the Q isn’t too terrible a value proposition, either. In short, the Q is the fixed-lens digital camera I’ve been waiting for. If you work with this focal length and can look past some of its smaller issues, you owe it to yourself to give the Q a try. I'll probably be lambasted for saying this but I could pull these shots from my A7R II with my $500 FE 28mm. When done with the 28 I can mount a whole bunch of other lenses too. Its not that I don't get the camera; I have a RX1 which I love. I held the Q at the San Francisco Leica shop. It felt a bit clunky to me. That said it is a neat camera and I bet most owners love it. Is that $500 FE lens "Zeiss", and is it as fast? The RX1 has very slow AF and lossy raws. Sony. f/2. The RX1's lens is a bit more special in terms of rendering but the 28 is still a very nice lens. Well it looks like the wedding was shot without any supplemental lighting, no flash fill , LED, so what can you really expect!? He was lucky to have a day lit reception. Why do we think we can make great pictures without the right amount of photons? Making any camera push physics isn't always the best idea. But what the hell, if the Bride and mother-in-law are happy the photog should be happy. The photos are color-oversaturated and harsh; was this intentional? I understand it's a matter of style, but they look dark, harsh and gloomy; not exactly the stuff of weddings. I would not buy the Q based on these photos. The author makes statements that are much too broad about mirrorless cameras, especially with regard to focus speed. There are indeed mirrorless cameras with slow AF, especially in low light scenarios, but there are also mirrorless cameras with very fast and accurate AF in low light. At least as fast as DSLRs. He may have had only experiences with slow focus AF mirrorless cameras, but that doesn't mean they ALL have slow AF and he should not lump them all together that way. Mirrorless cameras are just as diverse as DSLRs, with multiple brands, sensor sizes, consumer-pro models, lens AF speeds, etc. Those were statements about early mirrorless cameras - I refer to the ones today as "technological powerhouses." Surprisingly noisy images, considering the cost of the camera! The portrait of the lady is very good, noise-wise! And the dancing guys is great, too! But the rest is very noisy, surprisingly bad! Now that so many shoot selfies close up using cell phones that have wide angle lenses, people must be used to their faces looking distorted. I see it all of the time and generally think it is very unflattering. This is why I'm not a photographer, the second last photo, the one of the lady with the blue dress. I would not see anything wrong with the untouched photo. The touched up photo is 'warmer' but not necessarily better than the original photo. But then I don't have an artistic bone in my body and post processing doesn't grab me. I think I'm a recorder rather than an artist. For example, some of the railway interest photos are of buildings no longer there. A recorder, yes. Thanks for your candor Daryl. After lugging cameras around for 70+ years I can say most of the self-styled photographers (and their critics) are mostly gadgeteers - switch-flippers and button pushers with little of the traditional artistic talent of the masters. To borrow from the firearms literature, it's become a world of "spray and pray" with cameras that spurt in bursts and maybe one will be lucky. The first photo is nicer than the second one. In that last one skin color is way off, too much red/orange. YES! Great story, great pix. DPR should work toward doing more of these 'on assignment' tests. They feel completely different and are much more helpful than the galleries where staffers just go out and shoot the cameras without a paying client. This post shows that even the most expensive gear will not save a bad photographer. All of these images are literally composed for 85mm and shot with 28mm. It's terrible. I wonder who screens these entries. You can shoot like everyone or do your thing. Shooting with a 28mm takes some "b*lls". 85mm 1.4 might be the choice, but then why would you use a leica then? like arizona sunset says, it's not about the mm. Why 24 instead of 28? Reviewing things, a couple of the images could have gone wider yet and benefited, that's all. Most would have been better at 35mm or greater. I just kept thinking, "interesting", but not as good as it could have been with the right focal length. No "Live Boost" that's a pretty basic setting on all oly cameras. What is "Live Boost"? How would it change these pix? he was complaining that the evf wasn't responding to adjusting exposure comp. all you do is turn live boost off. Nice review. Love the Q myself. You can have a look at a reveiw I made last November (for the pics not the text, which is in Icelandic. :) ). Really suites me perfectly ranging from portraits to landscapes. @AlliHjelm - those are indeed some beautiful photos! Thanks for sharing. Oh heck. Those are some of the best photos I've seen taken with a Leica Q. Now I want one again. Gear lust, why do you tempt meeee?? AlliHjelm, I just had to say how blown away I am by those images. The scenery, your kids, and the light is magical. Your skill with the Q is a worthy match to God's beauty. I have been busy packing for my honeymoon here in the United States. I own lots of gear, but the only thing I'm bringing is the Q, a little tripod, and of course memory and batteries. That's it. I look at your photos and it confirms that The little Leica is more than capable of capturing our special time. ....Or field of view I should say. Derp, this was supposed to be a reply. It's just my point of view of course, but I really don't like these images at all. 28mm is a poor choice for this work, exemplified by the portrait of the lady in the blue dress above - head shot, with one eye at front, shot on 28mm?? It's about as flattering as a door security peep-hole! I also don't like the compositions, or the selected viewpoints. Honestly, they look more like snapshots than professional wedding shots, and are definitely NOT representative of the quality of images that can be made by this camera, in good hands. Regarding the camera, I'd LOVE a 50mm version and I expect Leica will introduce one after they've sold enough 28mm versions. Right now though, they're doing themselves and the community a disservice by peddling the myth that the Q can produce 50mm-like images by cropping. It's just not true. You might achieve a 50mm field of view, but you'll always have 28mm perspective, 28mm distortion, and 28mm depth of field. Focal length might influence the perspective you choose, but it doesn't change perspective. Depth of field is also not related to focal length. Longer focal lengths produce the illusion of a narrower depth of field, because the out of focus elements in the background are under greater magnification, and this CAN be replicated with cropping. Cropping is still a crappy way to change your focal length though. @Al Downie, thanks for taking the time to read and comment. I can understand your point of view, and actually, the more fun 'snapshot' look is what I loved about the Q. Don't forget you're not seeing the complete picture here - two other cameras and a number of other focal lengths created a more complete picture of the day. 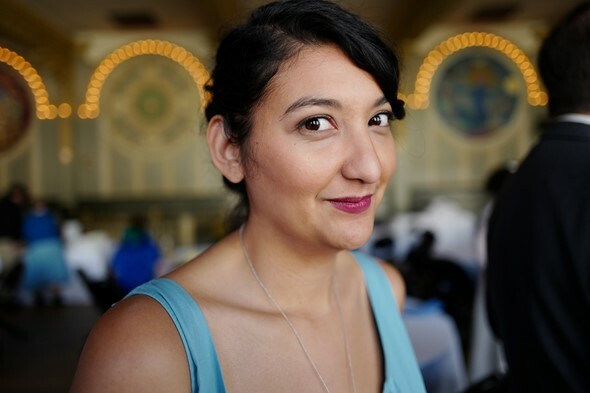 An wide-aperture 85mm lens will almost always have a less candid, 'snapshot-y' feel. But we are in agreement on future 'Q' models - I'd love a 50mm to make an appearance down the road. Before judging the Leica Q you MUST have it in hand. It is a Porsche among Toyota's and Ford's. It feels like cut out of one block of magnesium, heavy, solid, reliable and the design is german "less-is-more" at it's best. My first thought photografing with it was: It feels like a weapon - cold metal, ready to fire. The EVF is great and fully on par with my Nikon D750 VF except for the challenges Electroninc VF have with color-shift etc. I strongly recommend adding the Thumbs Up grip for it. Transforms the handling, which is the only part of it that I found a bit substandard. Let's be honest...these are nice photos that could have been made with a lot of $700-1,100 cameras. There's nothing that remarkable here beyond the fun and warmth of family and friendship that was captured. But again, you could do it for a LOT less. A Fuji X70 in skilled hands would be right there, and indistinguishable at 1X on the web...which is how everyone except us photo dorks would look at them. Which can be said of any camera out there. Let's be honest we don't have the raws. Right, plenty of $1000 bodies can match Leica cameras, lenses not so much. The Fuji X70 is a nice camera, it doesn't have a lens of this optical quality and it's a slower lens. Also no EVF. Look at photos with a 10 bit monitor and you can see differences. But that's my point. Who looks at these on a 10 bit monitor at 100% other than us geeks? The way folks use photographs these days, the differences between Leica glass and others is becoming lost. Granted the X-70 doesn't have an EVF, but the images are so close that few would notice. Your attention would be consumed by the content of the images, not their technical merit. I'm not sure about the specific lens on the X-70, but Fuji lenses in general are extremely good. The X70 has a good lens, slowish. For wedding photos people think it important that many, not all, be higher quality. They want high quality, but at normal viewing. Too many photographers are worried about stuff that doesn't matter. This Leica is a trophy, nothing more. People who make claims like that don't especially care about better lenses. And the best Leica lenses are still better than the best Fuji, though Leica has its misses too. It doesn't sound like you've handled a Leica Q.
I am of the belief that a good photographer can make great photographs with just about any camera. That's never been more true than today, when almost any camera is really pretty damn good. And, I rarely see a compelling image that would be "better" if only it was sharper, less noisy, if the corners were sharper, etc. There are document-style images that qualify, to be sure. Having worked at NASA, I know that it can be vital. But we are here talking about these wonderful pictures of two people's wedding and the friends and family that showed up to celebrate the beginning of a life-long union. To examine these pixel-by-pixel is stupid...it adds nothing to the quality of the pictures and ends up removing much of the pleasure of them by redirecting our attention from what's important. I haven't used the Leica Q, but I've owned M2s, M3s, R4, R8, M7. They're terrific cameras and the rangefinders operate in a manner that is unique. The lenses are terrific. But they aren't really any better than those I had on my Contax G2. Over time I've come to realize that the operation and controls of the camera are more important and that lens quality needs to be good, but paying a ransom for some mythical Black Forest secret sauce is foolish. I guess if you have a huge amount of funds then, WTF. But I'm a part of the real world and can't justify the expense, even though I pay my bills with my photography. And many oft see pictures that would be much improved with better light and colour, that's something a good Leica lens provides. True good Zeiss lenses provide similar things. Note that both Leica and Zeiss are German companies. Fuji + Sigma have significantly improved their lens offerings. Let's be honest: you won't get there faster or more efficient driving a Porsche over a Ford - but it will be more fun, give you more pleasure and bolster your confidence. IQ besides I think that this is what the Leica is all about. It is a very nice piece of equipment that produce nice images on par with most other modern full frame cameras. Fantasic shots. Both the skill of the photographer and the quality of the camera. The second exposure of the lady steaming the dress is just marvelous. Really appreciate this post, because it makes any desire I have for the Q go right out the window - I really just dislike the 28mm look. Totally a personal preference, it's just that the wide angle DoF is too unnatural for my eyes. Switch the viewfinder to a 35mm or 50mm setting if you like that better. Did I read that right - shooting a wedding, taking a burst of shots, and then turning your camera OFF??? Wow. And further, you already do this "trick" with your DSLRs. You lost all my respect, what a terrible thing to do to a bride. What the heck are you talking about? He turns the camera off between shots. I'll chime in and agree with @darngooddesign that I have no idea what you're talking about. I enjoyed the article and how you incorporated the process used on the camera to get the shots. I also like hearing about nuances with a camera as that really helps in judging if it would work for my circumstances. With all of that said, I do see more noise than what I would be satisfied with. Especially the last one at ISO 400. Perhaps this is just preference. Thanks for the feedback, I'm glad the post was useful! Also, the images posted here have no luminance noise reduction applied - only chroma. As you said, just a matter of preference in my processing. I can't stand it: A civil discussion on DPR. What is the world coming to? I know and barely any Leica bashing. You didn't read the comment above yours. Being "civil" doesn't rule out "bashing". For example, there is a big of Leica bashing down below, but it someone making claims about the Sony RX1. Okay, but that was posted later. @HowaboutRAW: By above meant what I see, which is newest first I guess. Do you see later comments from the bottom or the top? Did wedding photographer also take along a Sony DSC-RX1R II? Unfortunately, no - kept it to three cameras this time :) Just two DSLRs and the Q.
if Q were priced like the RX1R II, which would you consider? For this sort of work, I would lean towards the Q. The files from the Sony are great, and I slightly prefer the 35mm focal length, but the overall responsiveness from the Leica is hard to beat. Perhaps you would like to elaborate on why you question it? I must add that I feel that the photographer did him, the camera and the girls a great disservice by taking those photos. @KEG - photography is very subjective, which is a good thing, and you are of course entitled to your opinion. I appreciate your taking the time to read and comment. Having shot a number of weddings, both as a lead and second-shooter, as well as having edited full takes from other wedding photographers, I'll (predictably) disagree with you. Sure, these may not be the best wedding photographs ever taken, but I feel 'disservice' is a pretty strong word. It would definitely be an appropriate word if I hadn't had additional cameras and focal lengths out of necessity for variety, but I did. I obviously didn't post those because those photos alongside these would make no sense in a post focused on the Q. If you really do still think each of these images does the disservice of being no better than having only iPhone photos from guests (I was a very last minute booking), then so be it. Of course, no hard feelings, and thanks again for reading. KEG posted a very patronising reply to my first comment, but I think he is too proud to back down. I was mightily impressed with what you achieved with a 'difficult' 28mm. What ever you are doing, just keep doing it. Guys, I am trying to be polite here, this is editorial content made by a professional, we should expect that it would be of higher standard than some random forum post. Disservice is maybe a strong word but looking at the majority of comments here I have a strong feeling that my opinion, whatever that might be, is shared by the great majority of readers. "and the 28mm lens is well corrected to avoid tons of distortion at the edges." I find when shooting people with wide angle lenses it is better to have barrel distortion if people are near to the edges or corners of the frame. DXO actually has a feature where you can apply that and it is why I don't always correct the distortion from my Sony 16-50. Totally agree. This is why I would develop Panasonic LX3 shots taken on the wide end using Raw converters unaware of the distortion correction profile for shots where people are off-center. Years ago. I always wondered if that camera's corrected files had more linear distortion at the edges compared to a well optically-corrected 24mm lens. Theoretically, if the digital distortion correction was perfect, results should be the same, right? Barrel distortion helps but DXO ViewPoint and DXO Optics Pro do a different type of distortion/correction (anamorphic) that can be done on horizontal or vertical directions or both. In the latter case, it is probably not much different from barrel distortion. I find such a correction very useful for those "this lans makes me look fat" cases. It's one of the few unique things that DxO software does well, since "normal" correction of a 24mm lens will make people near the edges look pretty unattractive. Probably better not to use a 24mm in this situation but if it happens, DxO correction is better than the alternatives. Take a picture of a flat brick wall with a well-corrected — i.e. distortion-free — wide-angle lens, and the bricks at the edges of the picture should have the exact same size as in the center. This is because the brick wall, being flat, is essentially a bidimensional, 2D object. Take a picture of a collection of identically-sized 3D objects — e.g. a collection of bowling balls on the floor — with a wide-angle lens, and the apparent contour of these spherical balls at the edge of the picture will be imaged not as a circle, but as an elongated ellipse. Thus, the bowling ball at the edge and the ball at the centre of the picture will appear to have markedly different shapes. This optical phenomenon, called "volume anamorphosis", is caused by the fact that the constitutive points of a 3D subject will be at different conjugate distances from the imaging plane, and will thus have correspondingly different magnifications. Volume anamorphosis will NECESSARILY happen when mapping / projecting a 3D subject to a 2D surface, like a film or an image sensor. This is a bit similar to the "distorsion" which occurs when the features of a 3D object — e.g. the Earth — are projected on a 2D surface — e.g. a map. OTOH, a flat, 2D object's constitutive points are all at an identical conjugate distance relative to the flat, 2D film or image sensor, and will thus all have the same magnification. In the brick wall picture, the "bricks" at the edge and the center will thus have the same magnification, and thus have the same shape and size. People often confuse this volume anamorphosis of 3D subjects as a "distorsion" that might somehow be related to how well a lens is "corrected" or not. BTW, there is no such thing as a distortion free lens or a lens with distortions. We are used to rectangular projections (this may not be the right term), and tend to think of them as distortion free but that is just one possible way to project 3D to 2D. For wider lenses, one may think of fisheye type of projections as more "natural". Assume the subject is a 2D flat plane — e.g. a brick wall — and that the camera is parallel to said wall. Assume we choose, on this wall, four distinct points, which we'll name A1, A2, B1 and B2. The points A1 and A2 can be considered to be the endpoints of a line segment named A; similarly, points B1 and B2 define the endpoints of line segment B. A photographic lens will create a projection of line A on a film or image sensor; let's name said projection Ap; similarly, let's name the projection of line B as Bp. then, the lens is "distortion-free". Examples of well-corrected, essentially distortion-free lenses include e.g. the Apo-Nikkor photoengraving process lenses. Other examples include the reduction lenses in the scanners that project circuit patterns on the photoresist of semiconductor wafers. Note that it's fairly pointless for a real-world photographic lens used in digital photography to be made distortion-free. Suppose a lens has, say, a 3% barrel distortion. Digitally correcting that distorsion would then entail expanding the length of line segments and of 2D areas by a few percent. A lens that had a MTF50 of 1550 lpm could then have after correction, a MTF50 of 1550 minus a few percent, say, 1500. Such a small difference would, in general, be invisible with real-world photographic subjects. It's thus much more rational for a lens designer to allocate the "correction budget" — i.e. ther finite number of available lens surfaces and degrees of freedom in an optical design — to correct those aberrations — e.g. field curvature, astigmatism, coma, spherical and chromatic aberrations — which, unlike distortion, cannot be cleanly corrected using digital companding. The problem with distortion is that it's the only thing that know-nothings are able to notice, and they then stupdily complain that digital correction will then degrade the picture's sharpness — even though in real-world pictures, the resolution change would be imperceptible — while completely overlooking the fact that prioritizing the correction of other aberrations ultimately yields an improved picture sharpness. The same "distortion free" lens makes your head look like a head of a Martian near the edges and does not preserve angles or ratios of angles/sides not parallel to the image plane. The angles and distances of 3D objects can be preserved by photographing them using a bi-telecentric lens, as used e.g. in machine vision applications. With such a lens, given that the entrance pupil will be at a large, nearly infinite distance from the subject, the gnomonic projection — whose center is at the entrance pupil — will become essentially a orthographic projection. Furthermore, as such a lens will also be telecentric in the image space, variations in the focus distance will not change the incidence angles of the light rays, meaning that the magnification ratio will essentially be independent of the subject distance. Horses for courses, thus — though some basic knowledge of optics might be needed to properly choose said horses. There is no projection that would preserve distances - it is a trivial thing to figure out. All points on any radial way, for example, will be projected to one, which means zero distance on the image plane. On a more mathematical note, R^2 and R^3 are not isometric, and there is nothing we can do about that. On a more mathematical note, a projection is a mapping. Furthermore, it's far from established that the fabric of the Universe has the cardinality of the continuum. At a microscopic scale — e.g. at the Planck scale, — said fabric might well be discrete, and thus be countable. So, instead of R^3, we might be dealing with N^3, and any subspace of N^3 can easily be mapped to N — and, a fortiori, to N^2 — without any information loss: a cubic N^3 subspace of any size is just a stacking of squares, themselves composed of elementary cubes, to which distinct numbers drawn from N can be assigned, a bit like in Cantor's diagonal argument. That is a bit over your pay grade. Let is accept your attempt to divert the discussion for a moment. "It can be mapped" does not mean that it can be mapped by a lens which maps all points on a ray to a point and as such certainly does not preserve lengths. You got so carried away in your failed attempt to show how smart you are that you forgot that you were talking about angle and length preserving maps. BTW, there exist bijections form R^3 to R^2, you did not have to go to countable sets. They are terribly singular however. Of course, this has nothing to do with lenses. Nope. It's you who are a bit out of your depth, as demonstrated by your shallow, sweeping statements. "there is no such thing as a distortion free lens or a lens with distortions"
There exist lenses that can be called "distortion-free" for all practical purposes — e.g. a scanner that focuses the pattern from a moving reticle to a moving semiconductor wafer must have a distortion small enough that, as the same point of the reticle moves along various image heights during the scanning process, the local magnification projected on the wafer stays exactly the same, within a few nanometers, so that e.g. silicon chips with 14nm feature sizes can be made. If the lens had any appreciable distortion — i.e. if its magnification changed with image height — pattern superposition during scanning would be impossible. Note that, say, a 24MP full-frame sensor has a pixel pitch of about 6 microns — i.e. about six thousand nanometers. As explained above, there exist optical systems that can project a picture with deviations from the ideal of about a THOUSANDTH of the width of a pixel. Do you think a camera user would notice a "distortion" that's about 1/1000 of the size of a single pixel ? "The same "distortion free" lens makes your head look like a head of a Martian near the edges and does not preserve angles or ratios of angles/sides not parallel to the image plane." If you're so concerned about preservation of angles and distances of 3D objects, use a lens with orthographic projection characteristics — e.g. a bi-telecentric lens — instead of a lens designed for gnomonic projection. "There is no projection that would preserve distances - it is a trivial thing to figure out. All points on any radial way, for example, will be projected to one, which means zero distance on the image plane." Nope. Projection systems can be used to record 3D information too — how do you think the scanning rays used to make holograms — recorded on a 2D surface, by the way — propagate ? How do you think the light rays captured by the ray vector sampling systems of light field capturing devices like the Lytro propagate ? And as for conventional photographic lenses, has it even occurred to you that the entrance pupil of a lens has a certain extent, and that it's thus impossible for a "radial" segment to be simultaneously aligned with two different points of said pupil, and that this parallax can be recorded and exploited ? "On a more mathematical note, R^2 and R^3 are not isometric, and there is nothing we can do about that." As explained above, nothing prevents a 2D surface from being used to record information — including distances — of a 3D subject. Discussing isometries between R^2 and R^3 is irrelevant, unless you can prove that the Universe we inhabit, and can record using various techniques, has the cardinality of the continuum. "there exist bijections form R^3 to R^2, you did not have to go to countable sets"
Hence my choice — in addition of the fact that it's far from established that the fabric of the Universe is continuous — to consider discrete, countable sets, as it should then, in theory, be possible to calculate an information-preserving mapping between a finite extent of 3D space and a space with lower dimensions — e.g. 2D or 1D. As light field photography demonstrates, imaging systems are becoming, more and more, computational systems. An important theoretical limit of such systems is that the mapping mechanism must, obviously, be computable, and I have yet to see a bijection, between finite extents that have the cardinality of the continuum, that doesn't require an infinite number of steps — i.e. require an infinite exposure time — to be effectively implemented. The more you write, the more nonsense you spread. You need to learn where to stop. This way, you may create the impression that you know what you are talking about. Gee this thing sure went in a weird direction. All I said is that having a "distortion free" lens does not always produce the most flattering depiction. This is about taking pictures isn't it? The high ISO noise looks unpleasant. Were these images sharpened without any noise filtering? There was some sharpening added, and only chroma noise reduction. Thanks for clarifying that, Carey. I'm curious what DxO's Prime noise reduction would give as a result (scheduled to be supported sometime this month). Will the above RAW files become available for download eventually? Sure thing! And that's a good question. 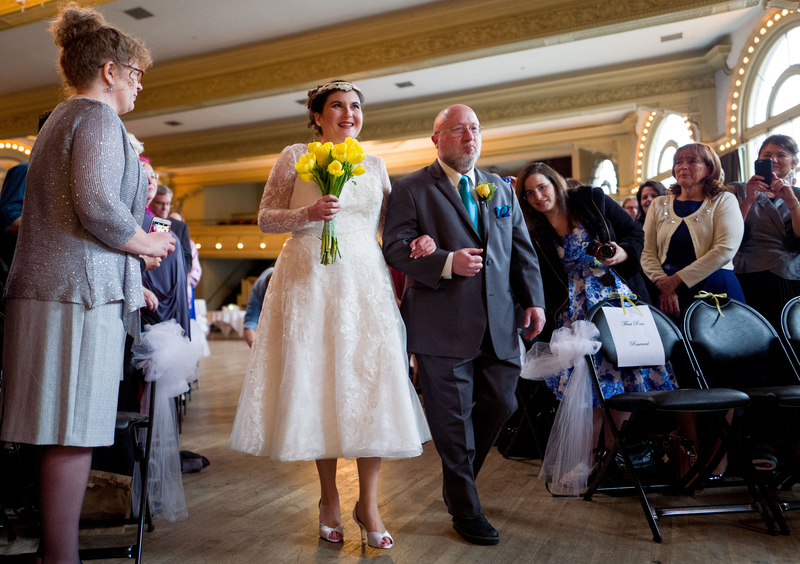 I may see about that, but when I worked the idea of this article out with the folks who hired me to shoot the wedding, I hadn't considered this possibility - I only specified that the JPEGs would be available. Let me think on it, possibly get in touch with them, and revisit the issue. There will, however, definitely be more samples added to the Q gallery when the full review is posted, though. Just can't guarantee these'll be them. Thanks; no problem at all if its other images. I see someone blew away the whole thread about noise where I noted that part of the reason for the JPEGs being noisy may be due to the fact that the lens doesn't cover the sensor and by the time distortion correction is applied in the raw converter something less than 20 Megapixels of the sensor are getting used and then scaled back up to 24 Megapixels. It takes some extra sharpening to make that look like a real 24 MP sensor. 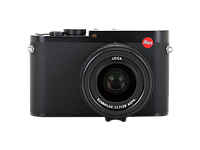 DPR is critical of that trick when used on pocket cameras with 1 inch sensors and long zooms, but it goes unmentioned on a full frame Leica. Not sure what you meant by 'blew away' - it's still there under iShootWideOpen's comment. In any case, that's the sort of thing we'll look more in-depth at in a full review. Unfortunately, it's hard to get that level of depth in these smaller, lighter pieces. Sorry about that. The last half of the comments were masked and it was late. Fuji X-Pro2 + XF 16/1,4 would seem to me more comparable than Ricoh GR. The Fuji set would be slightly bigger and heavier, but still neither big nor heavy. Much cheaper too, with better OOC JPEGs, I dare say. Can we hope to see a comparison like that in the X-Pro2 review? I'm not sure we'll have time to incorporate that in the X-Pro 2 review, but that is an excellent comparison. I'll look into it. Tell him to carry an FZ-1000 or a P-900 and an LX-100. They are cheeper, lighter, goon friendly and above all no one will tell the difference in most cases, even if they use it for Time cover. Thanks for the mousehover OOC-JPEG vs. RAW comparison! I'd love to see this feature in more articles and reviews. Otherwise, I have to take 30 seconds downloading 2 full-size photos and switching between tabs to try to see the difference. When I was processing through ACR, there is indeed an 'embedded' Leica profile as an option, but I went through and processed using Adobe's. Just personal preference. 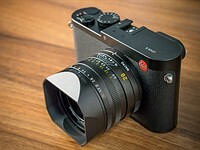 I still can't get over Leica mounting a 28mm lens over a 35. Seriously, why? I surmise they used it because, when paired with software-distortion control in OOC JPEGs, the field of view is more like that of a 35mm lens. This is apparent when comparing OOC shots with uncorrected RAWs. This has been discussed many times, and Leica have given an answer to this. If you're not aware, they have said they looked at several focal lengths, and chose 28mm as it came out smaller than the 35mm. I don't know why, but that's what they said. Whether you believe them or not is your choice. Because a lot of people like 28 over 35. I prefer the 28mm to a 35. That way I can crop to 35mm field of view if required, and the quality is still good enough. If you have a 35mm you can never go wider in one shot, making the 35mm option much more limiting in my opinion. Richard is correct. The lens doesn't cover the sensor, so when correction is applied, the field of view is much tighter than 28mm and coincidentally, no more than 20 MP of the sensor are getting used and then interpolated back to 24 MP by the raw converter. That may help to explain some of the excess noise in the OOC JPEGs. They have to apply a lot of sharpening to make 20MP or less look like 24MP. This kind of cheat is understandable in an ultra-portable long zoom camera with a 1" sensor, but pretty hard to justify in a fixed lens full frame at the price of Leica. I would way rather a 28mm on a fixed camera. You can typically get closer, but very often you can't step closer. Unless the subject is a Tiger :-). The images are too noisy for the ISO displayed. When you say: "and the 28mm lens is well corrected to avoid tons of distortion at the edges", you certainly mean well corrected in software? Because that lens has a massive distortion with black corners. On my monitor, the portrait looks a bit better in its OOC version, slightly cool, indeed. The ACR one is good but a bit too warm. Since it is brighter, it pops out more but not necessarily because of the warmer skin tones. When you pay a premium for a camera like this, you have to pretend that the lens is actually as good as it should be - given the Leica reputation and price. Not really sure how to address your comment about the noise, so I'll leave it. Yes, I do mean corrected in-software, and baked in when you process it through Adobe Camera Raw. The processing is going to be a matter of personal taste, sure. To be fair, I think the OOC JPEGs look fine, it's just that, once I've edited a Raw to my liking and compare them side-by-side, I really don't like the OOC JPEGs at all. For the record, all of my various monitors were recently calibrated with a Spyder 5 thingy. My monitor is calibrated, as well. I just wanted to say that the OOC skin tones look quite good. Your ACR ones look good, as well but I would not say that they look better. It is a matter of taste after all. Fair enough, thanks for clarifying! Comparing similar ISO shots in similar lighting, this camera is considerably noisier than my old 5D MkII. Hardly state-of-the-art. Considering how the Q's noise levels compared to the D700s I was shooting it alongside, I'm not sure I see what you're seeing. But I did add sharpening without using any luminance noise reduction because the quality of the noise (and luminance noise in general) doesn't really bother me. I guess it is a matter of taste, but anything over about ISO 800 looks really noisy to me and that is consistent with the DPR OOC samples as well, so not just your choice of processing. The color looks ok, but the luminance noise is reminiscent of tri-x, just finer grain. Oddly, the studio shot looks consistent with most other current cameras except that the JPEGs appear to be much noiser than the raw shots so the camera must have a lot of sharpening and no noise reduction. As for the JPEG noise, that is possible - there is very little in the way of JPEG engine customization in the Q. I didn't spend too much time with them besides realizing that I preferred the color of the Raws. But yes, there is no discounting the amount of noise in a number of images - it may indeed just be my personal taste that I don't find it troublesome. Ricoh GR would seem to be able to do the same thing. You could get 8-10 for the same price. I know right... really makes you wonder why the RX1 is so much more expensive than the Ricoh as well. They are totally the same kind of camera with the same specs. darngooddesign Sorry, but the RX1 and GR are not "totally the same kind of camera with the same specs". You might want to reassess that statement. I guess I should have included the /s sarcasm tag. 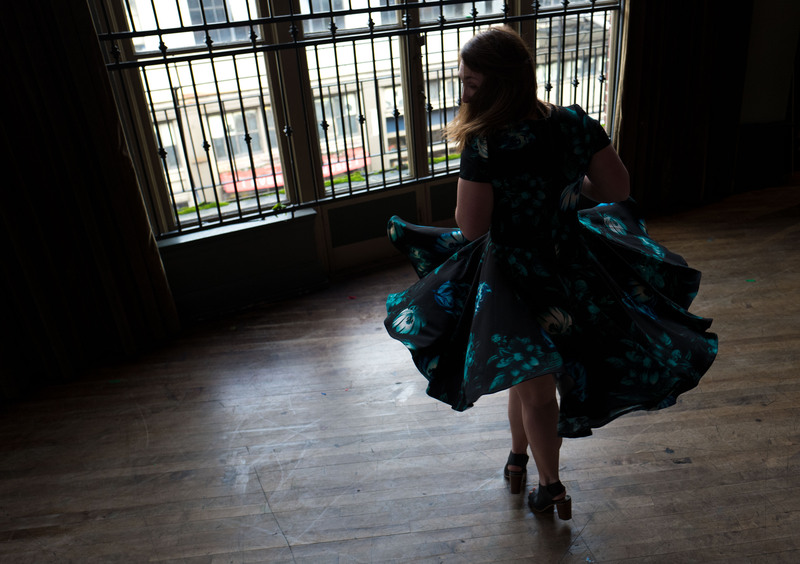 I love the Ricoh GR, but I would never rely on one as a paid photographer at a wedding. I would, however, definitely bring one along as a guest for some casual shooting. The autofocus on the GR is just too slow, especially for shots like #3 where there's constant movement. 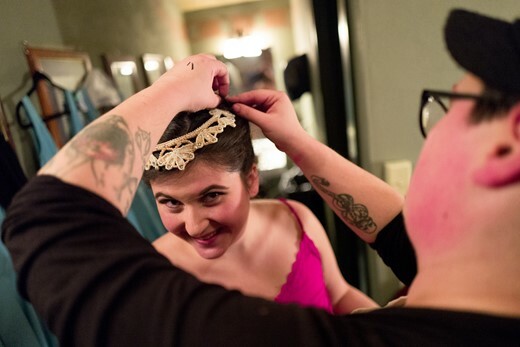 I wouldn't (and never do) tell people hold still while they're getting ready and possibly running late because I need to 'get the shot.' I either get it, or I don't. And with the GR, I likely wouldn't. Additionally, the lens on the GR is 1.5 stops slower (plus it has a larger noise penalty as it has an APS-C sensor), and to keep an equivalent shutter speed, that ISO would have to be astronomical. And lastly, you'll note subject separation (on a 28mm lens!) at some distance on image 6. 1.5 stops plus the difference in DoF characteristics between APS-C and FF would mean that separation would be far, far less pronounced. As I said - I love the GR, it just isn't the right tool here, at least for me. Q is still expensive for what it does right now. 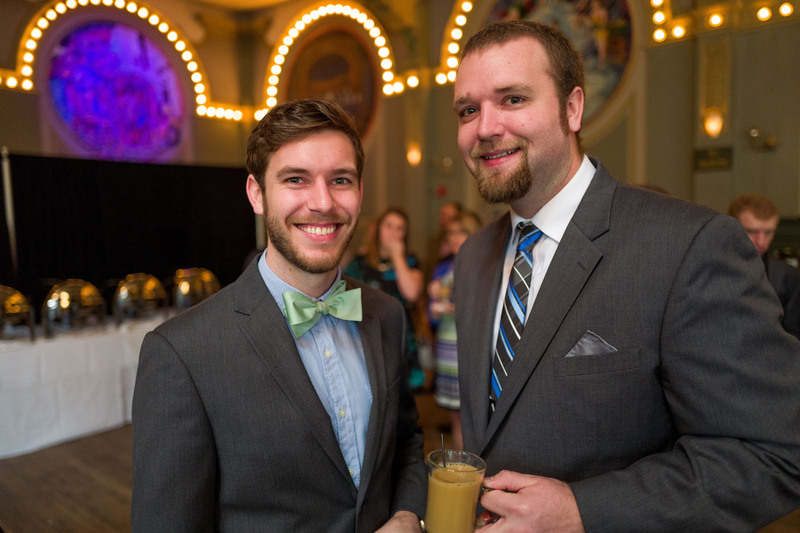 Outfit a 6d or late-gen rebel and you'll get what you need at weddings. Since the Q is made from Panasonic parts, Panny needs to release a non red dot version for about $1K and dominate the market place. They need some market share gains anyways. It's true, there's no getting around what you'll pay to get a Q. To play devil's advocate, the only way you'll get that 6D's files to approach the quality of the Q and its lens, you'll need the 35mm F1.4L II. And together, they are $3,200 new. Now that's still just over $1,000 difference, but it's not as pronounced as I think some people expect (and I really like the 6D as well, for the record). A late model Rebel isn't terribly applicable just because of its smaller sensor. But if Panny released their own version of the Q, you can bet I'd be lining up for that. Yeah, thanks for the reply. Yeah, just think the upmark pricing on the Q is too much. More branding than anything else. With gray market 6d probably save more than $1K and probably could spring for 50 1.2L with same budget (one of my fave lenses). 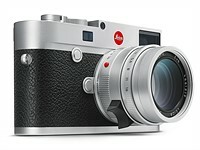 I know Leica will never go lower than what they price at as it would kill their bottom line. It's like some luxury cars that do the exact same thing as a fully specc'ed accord. At a certain point, it's just that roof ornament (or red dot). We're definitely in agreement there. The 'Red Dot tax' is a very real thing. And good point on going used or otherwise discounted and getting the 50 1.2L - there's some magic in that lens. 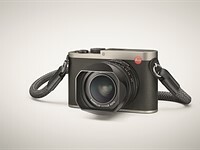 Sure, Leica know how to charge and who can blame them for that. In fact the more they charge, the more certain people seem to want their products - same as with expensive watches, audio and cars. In some ways Leica are now in the jewelry business and good luck to them. Better that they can continue in existence doing this than being a bankrupt camera manufacturer, which was probably the alternative they faced. The Q is not a rebranded Panasonic camera like Leica did with the LX100. Parts he said, not rebranded. I think they should at least offer more than 1 year warranty on their cams. Still remember news back in the day from cracked sensors. Not a cool thing to drop more money on this than a nice motorcycle and have a problems with it just a few days/month beyond the warranty. They should go with 5 year premium warranties for this level of cost. On an emotional level I would probably agree with you. But thinking logically I'm afraid I know from your previous posts that you are not the target customer for a Leica. Your concern for warranty period is really not shared by many of those that can afford such products and who often buy such things on a whim. Please don't be upset by that because many of us have no hope of ever owning a Leica either. But Leica Camera AG will have done a simulation of what a 5 year warranty would cost them and I am sure they will have worked out that it will cost them a lot of extra money with virtually no extra sales to show for it. As already mentioned in the article, the bokeh from this lens is simply amazing. This is such an amazing feature. Like a written version of the field test. Well done! I don't see a single image that couldn't have been taken with a Ricoh GR or GRII? Well, independent of any other camera features like the EVF, the Ricoh is f2.8 on APS-C and the Leica is f1.7 on full frame. If you don't see the benefits of the faster lens and larger sensor then the Ricoh will be good enough for you. Exactly none of the images above could have been taken with a Ricoh GR or GRII because their depth of field is much more shallow than what these camera can achieve. @darngooddesign and @acoillet nailed it. Of course, there's the added issue of slow (still accurate, but slow) autofocus in low light. That would mean a lot of missed shots, particularly shots like #3. The GR and GR II are great, but they have too many shortcomings for me to use them in this way. Well next time noflashplease will probabyl say "tss. tI don't see a single image that couldn't have been taken with an iPhone". The GR has snap-focus hyperfocal manual focusing. *** I continue to be amazed with the obsession for "bokeh" of this forum. Photography is theater, and it would be news to the likes of Orson Welles and William Wyler that shallow-focus is the only way to create visual drama. @rds I really can't imagine shooting an entire wedding and relying on snap focus. But that's just me, and I honestly haven't practiced with it that much. And I agree, bokeh isn't everything. But when people hire you and see you with large cameras, they usually have some expectation for blurrier backgrounds than the photos they take with their phones. Of course, the GR will offer you that, but simply not to the extent the Q does. RDS, in the case of a wide angle lens you need as wide an aperture as possible to get useful separation. Look at the shot of her and her dad walking down the isle, even at f2 the background isn't blurred too much. 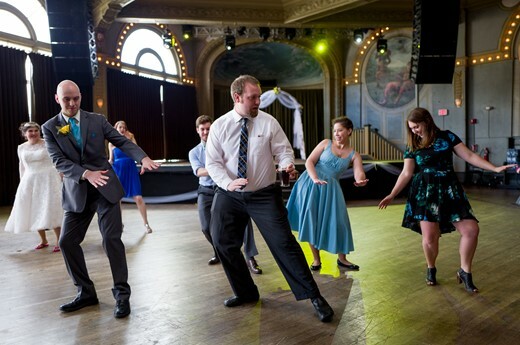 In the case of the shot of people dancing, the Q's lens gives you almost two stops of exposure to play with. The the larger sensor lets use use a stop higher iso without adding more noise when compared to the GR. I understand the optics, I'm just referring to the fact that you don't always want separation, that you might want greater depth of field because what's going on in the b.g. is part of the "story." If Carey shot with an S-2 the comments would sound like "...I don' t see the reason to leave behind my fav Canikon GFCX 2000" or whatever..
Well you can always set the Q to f4, which is the equivilent to the GR's f2.8, but you can't set the GR to f1.2. I see f1.7 on the Q to be less about bokeh and more about having options in low light. Suddenly you realize the importance of a tiny winy built-in pop-up flash! The only time I'd probably have used a flash (and it would have been a larger unit to bounce) would be in the 'getting ready' area. But I couldn't because one of the women present had health concerns with flashing lights. In general, though, if I don't have a speedlight, I'll use a higher ISO instead of a small, pop-up flash. But it is a matter of taste. Nice photos of the day. The color though is not all that great. Thanks for the feedback. Colors can certainly be a matter of taste - I did at least make sure to calibrate my monitors. It's a slight issue on skintones. Overall, pretty decent results. I agree, I tried the q, it's a great camera but too wide of a lens for everyday use. I wish Leica or Sony would come out with a q or rx with a 40-50mm lens. I find I use this focal length a lot more during travel with family and for any serious shooting I have interchangable lens cameras. Normal focal length have a lot less distortions for portraits and street shooting, plus in FF this should create smaller sized lens as well. I love this files... Could be done with an A7? Sure, but that doesn't deny this is a very beautiful camera. In film era LEICA is something special but in digital is not worth it, to expensive for what they give compared to other. There's no doubt other cameras can produce equal or better results, but like most things, every camera has it's own +'s and -'s. You could apply your argument to cars for example. A small hatchback will get you from A to B and serve most people's needs, most of the time. What car do you drive? @elefteriadis alexandros I tend to agree in terms of the files, since my other cameras weren't (and usually aren't) Leica's. What I can't replicate is the look of the lens, at least not without spending some serious cash to upgrade my kit. Carey Rose, as a many years LEICA R shooter until today i agree about the lenses but with a small reservation. There isn't any ''magical'' about them, is just a good balance of sharpness - out of focus quality and 3D look and remember they don't make crap cheap lens, only high quality and so the taste that produce is not mixed. For example Nikon, (we talk always for the expensive class here), have good sharpness but is over contrast and the out of focus area is harsh. Canon on the other side is more balancing but some times clinical, and so on. The most LEICA approach lens is the old MINOLTA and OLYMPUS and in medium Format BRONICA. All excellent points - my favorite part about the 28mm lens on the Q is indeed its OOF renderings. My old Nikkor 35mm F2D is obviously several rungs down the ladder, but I will say (and I know it's apples and oranges here) that my 85mm F1.4D is pretty good. I want one of these really badly! It's expensive though. I think if Ricoh made a new version of the GR with a top notch evf and one of the new Sony 24mp sensors, then that'd be the way forward. Cira £1000, job done! This story clearly demonstrates, once more, that a competent photographer doesn't need a bag full of lenses, if he is good enough. 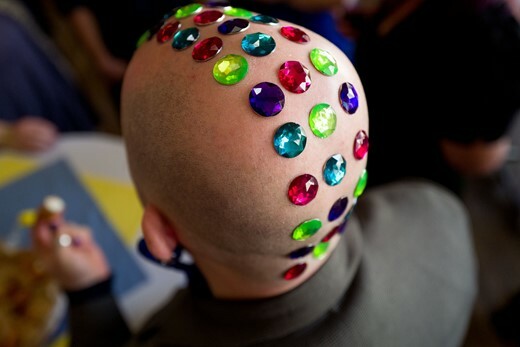 The guy with the multi-colored buttons on his head? Me no Leica. that's the phone sensor equivalent of a full frame head of hair. Nice pictures. I wonder if they would look very different taken with the very similar (but much cheaper) Sony RX1. They would look different by nature of the different focal length. Of course it wouldn't be a Leica article if someone didn't mention price. I always imagine that the person mentioning the price feels like they are breaking some secret that a person shopping for a $3500+ camera isn't aware of. Is it really much cheaper an RX1mark2 (with evf)? I think that's just semanthic, at this point. Anyway, the Q is my workhorse when I'm on assignments and I'm really happy with it. I wonder if a 90mm f2 lens with macro option would find a market..
Just to be clear the RX1M2 has a built-in EVF... Thought you might like to know that. The Q's EVF is higher res and has a faster refresh rate. So yes, you can save money if you buy the camera with the inferior viewfinder. Well inferior expect for it allowing the camera to be smaller. Sorry I don't need to be lectured - I own and use both cameras - as for inferior this or that - lets not go down that road. The point I made was simple OK.. the RX1RM2 has a built-in EVF. Shaking my head here. I was lecturing the person who just stated that the RX1 is less expensive without understanding that a higher quality EVF will cost more. Darngooddesign was not lecturing you Terry Cioni, he was just stating a fact. The RX1RM2's EVF is inferior to the Q's. Chill! To the OP, they would likely have a different feel. After spending lots of time with the Q, I tend to shoot just a little differently with it than with my 35mm prime on a DSLR. Also, if you're talking about an original RX1, there probably wouldn't be any photos at all because of the slow-to-focus nature that camera. The RX1R II? That's another story. Most of the naysayers here have never used the camera. I own it and have used it extensively for travel photography the last 6 months. Yes, it costs an arm and a leg, and if you just look at the specs they can be replicated by other cameras for a lot less money, but there is something very special about this camera and I have been blown away by the results I have been getting. I've used everything from Nikon and the Micro 4/3's world but the results from the Q leave them in the shade. What's the difference? The feeling of actually being there. It's as if a veil has been lifted from between the viewer and the subject. It sounds like Leica gibberish I know, and I wasn't expecting it, but it happened. Like the OP, if Leica makes a 85mm version I'll be first in line and the two cameras will be all I need. The RX1, when new, was not a lot cheaper, about 1000usd. It has a slower lens. It's AF is slow, and it has lossy compressed raws. I don't think Sony makes it any longer. The RXRII sill has a slower lens, one has to pop the EVF out, but much improved AF, somewhat cheaper not a whole lot though. Higher resolution and a non-lossy raw option.